The beige URSA Belt from Remote Audio is a machine washable, special double-bonded fabric 2.0" wide by 45.3" long. 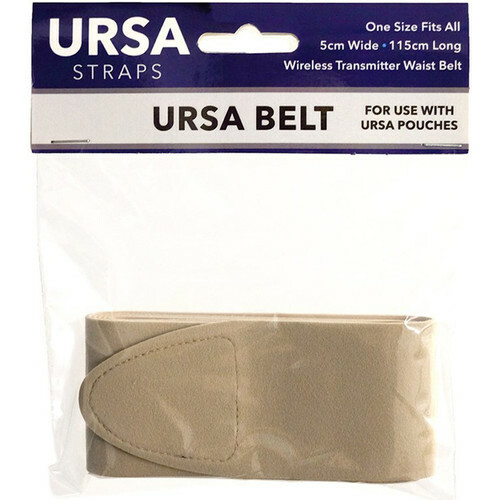 The belt can be used by theater and stage performance artists around their waist with URSA Belt Pouches (sold separately) to mount wireless microphone transmitters in audio applications. In addition, they can be used with AquaPacs (sold separately) or as a strap to clip on transmitters. Box Dimensions (LxWxH) 7.8 x 2.4 x 0.9"